As soon as my first born child was old enough to require me to make breakfast for her each morning, I started eyeing those boxes of Eggo waffles in the freezer section of the supermarket. They just looked so convenient. But every time I saw them, I would go through a ritual of picking up the box, reading the nutrition facts label, and putting them straight back down. 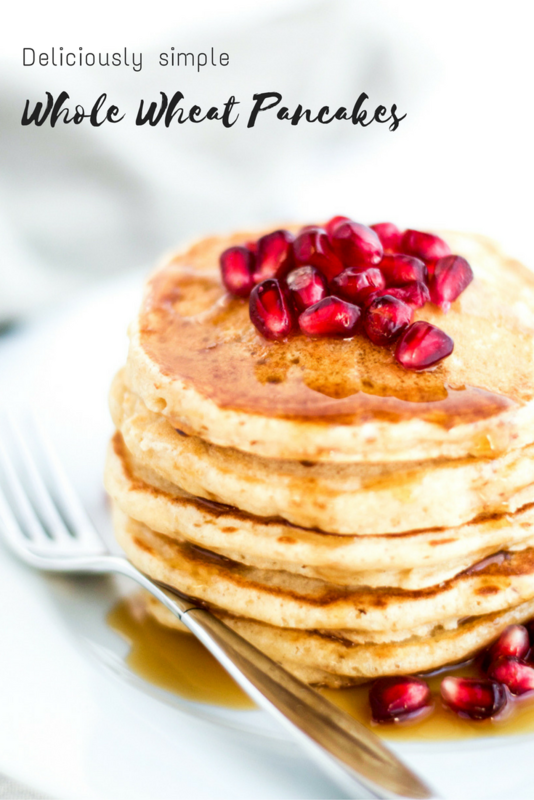 Who knew that those-processed waffles would inspire this deliciously easy recipe for whole wheat pancakes. One day, while going through my usual Eggo routine, I was struck with the most amazing idea (well, it really wasn’t that amazing, but it seemed it to me at the time). Why don’t I make a batch myself, from scratch, and then freeze them? Better still, seeing as my children don’t even like waffles, why don’t I make pancakes from scratch and freeze them. Better still, why don’t I make whole wheat pancakes from scratch and freeze them. That way I can pop a healthy, homemade pancake in the toaster any time I please, and feed them to my wonderful children. 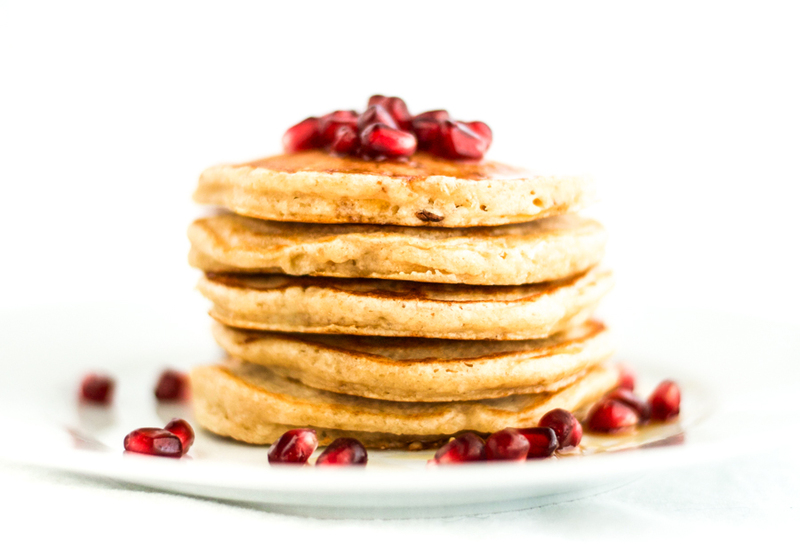 Now, these deliciously healthy and wonderfully simple whole wheat pancakes are a permanent fixture in our freezer. 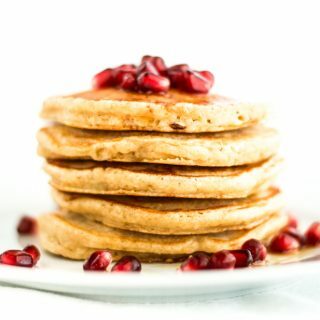 They can be heated up in a jiffy and covered with maple syrup, banana, or other fresh fruit for breakfast, or low-fat cream cheese or hummus for lunch. For a real treat, they even get to say hi to a spot of nutella every now and then. 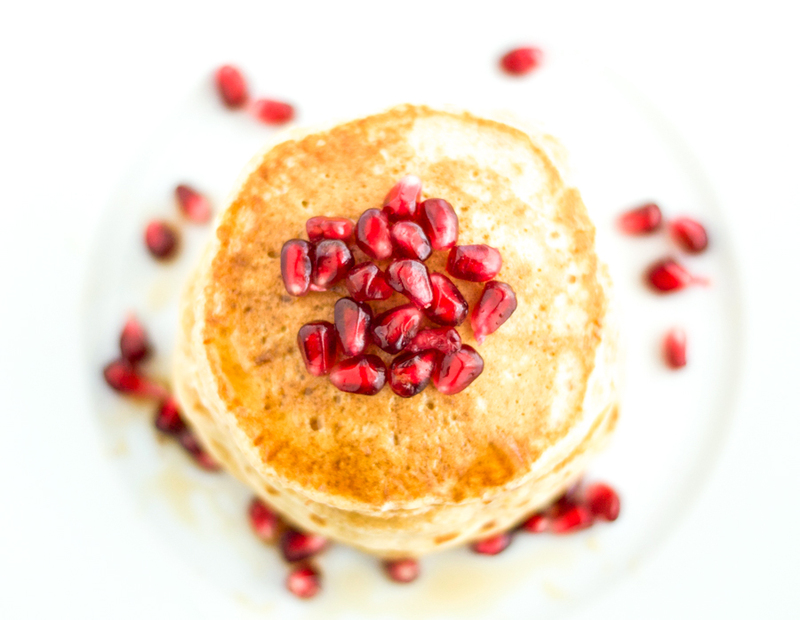 So if you are looking for an easy, healthy breakfast alternative that can be stored in the freezer, this recipe is for you. In a separate bowl whisk together the egg, butter, and milk/vinegar mixture. Pour the wet mixture into the dry ingredients and stir until just mixed (don't over mix or you will get tough pancakes). Heat a skillet over a medium heat, add a touch of vegetable oil, and pour about ¼ cup batter per pancake onto the heated griddle. Once bubbles start to surface, flip the pancake and cook for another minute or so, until both sides are lightly brown. 1. Find a baking sheet, cake tin, or other freezable dish that will lie flat in your freezer, and line it with parchment paper. 2. Lay the pancakes in a single layer on that dish. If you need to make more than one layer, place a sheet of parchment paper between layers. 3. Place the dish in the freezer for a few hours, until the pancakes are well frozen. 4. Transfer the pancakes into a freezer bag or tupperware and put them back in the freezer until needed. 5. To defrost, remove from the freezer and place in a toaster or toaster oven until warmed through. Alternatively, you could put them in the microwave for about 25 seconds. Wow that recipe looks amazing Rachel. So decadent! I’ll have to try it. Thank you for the link. 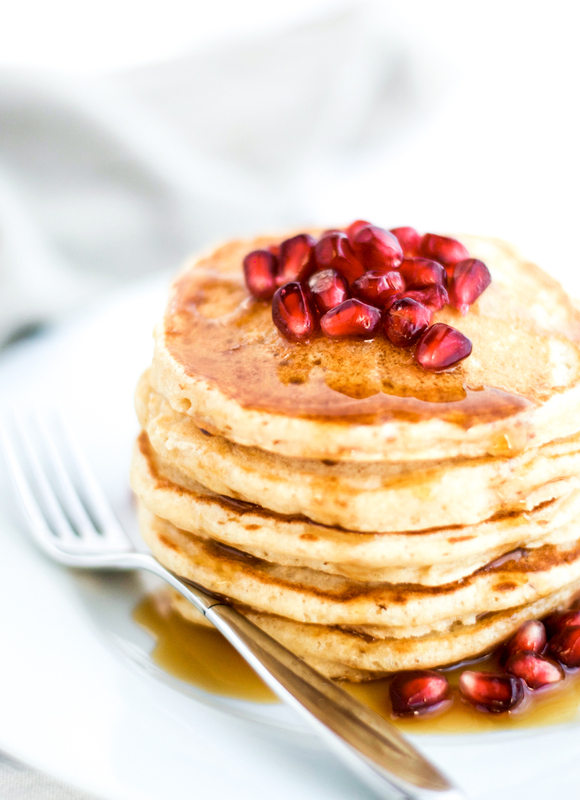 We love pancakes here at the cottage and your recipe looks delicious! Thanks for sharing your awesome post with us at Full Plate Thursday. Hope you are having a great week and come back soon! Simple and delicious! We substituted milk + vinegar for oat milk so we didn’t get the whole buttermilk benefit, but still came out light and yummy. Hi Rebecca! I’m so glad to hear they worked out without the buttermilk sub. I haven’t used oat milk before. I’ll have to give it a try.